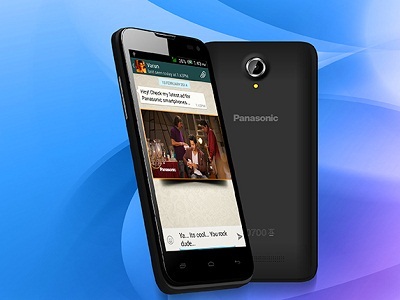 Panasonic said it plans to introduce as many as 15 new devices in the next few months. NEW DELHI: Japanese tech giant Panasonic today said it plans to introduce as many as 15 new devices in the next few months as it aims to garner five per cent share of the Indian multi-billion dollar smartphone market. Panasonic, which entered the smartphone market here last year, has also declared India as the headquarters for its handset business. "India is a very important market and that is the reason why it is also the headquarters for the phone business for us.There is a huge opportunity here for companies like us, who want to offer quality products at right prices," Panasonic India Managing Director Manish Sharma told PTI. He added that the company is looking at aggressively expanding its portfolio in the country to take its market share to 5 per cent in the next one year. The company claims to have about three per cent share currently. "We will launch 15 smartphones and eight feature phones this year. We will launch feature phones because we believe there is still an audience for that, but the focus definitely is on smartphones," he said. Panasonic today launched its new 'Eluga' series of smartphones in India with the unveiling of 'Eluga U', priced at Rs 18,990. Over the past few months, the smartphone market has seen fierce competition, fuelled further by new entries like Gionee, Oppo and Xiaomi from China. In 2013, smartphone sales in the country grew almost three-fold to over 44 million, as per research firm IDC. In Q1 of 2014 alone, 17.59 million smartphones were shipped in India with sales being driven by affordable devices. While Samsung is the category leader with a 35 per cent market share in Q1, local firms like Micromax (15 per cent), Karbonn (10 per cent) and LAVA (six per cent) also held significant share of the market. Nokia had 4 per cent share. "We will have devices across price points. However, for us the sweet spot would be between Rs 16,500 to Rs 20,000," Sharma said. Asked if the company was looking at setting up a manufacturing unit in India, he said the company would look at one after it has "certain economies of scale". "In two years, we will be in a position to take a firm call," he said.Talking about the Eluga U handset launched today, Sharma said the handset will be available in the first week of August. The dual SIM device features a quad-core Snapdragon processor, five inch IPS HD display, the latest Android Kitkat operating system and 2GB RAM. It also sports 16GB memory (expandable upto 32GB), 13MP rear and 2MP front camera and 2,500 mAh battery. How Indian SMBs are Transforming From Calculator to Cloud?